Liquid net worth is not the same as net worth and is likely to be a different figure, too. 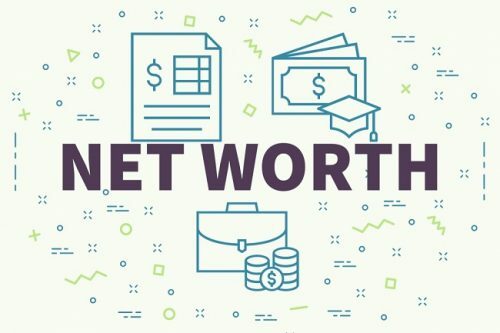 Liquid net worth is the total value of all available cash, plus assets that are quickly turned into cash. In other words, it is the value of assets that already are, or can be made, liquid within a short amount of time. Two aspects of liquid net worth are tricky. The first one is related to its definition. An asset that is considered ‘liquid’ is an asset that can be converted into cash within a short amount of time. The actual length of time is not clearly defined. A commonly chosen time period is 24 hours or less. However, this time period might differ depending on the situation and necessity. Therefore, the assets that are considered liquid assets might differ for each person or business. The second important aspect of liquid net worth is how the value of an asset might change when it needs to be turned liquid. Most assets that are more valuable will likely need to be sold at below market price to become liquid fast. Selling a car below its value is an example. An example for a business might be that its inventory needs to be sold at cost price. This is why the liquid net worth of a business or a person is often different from the net worth. Calculating the net worth of a person or business is simpler than calculating the liquid net worth. This is because there are more uncertainties and estimates in calculating liquid net worth. The difficult part when calculating liquid net worth is that an estimate needs to be made of how much below market value an asset must be in order to turn liquid quickly. A commonly used figure is around 25% below current market value. For example, the current market value of your antique dresser is $1200. To make a quick sale, you might have to sell the dresser at $900. In addition, you must remember to calculate any penalties that might apply for pulling out of an investment or savings program. Retirement funds are a good example of this. Early withdrawal of a retirement fund will often come with a penalty fee. For example, there might be $40,000 in the fund but if it is withdrawn before retirement age, there is a penalty fee of $8000 or 20% of the total fund. Taxes may also apply to a retirement fund because this can be considered an income. The penalty and applicable taxes are the cost of turning an asset liquid. Finally, these figures are all estimates and do not constitute any guaranteed values. Liquid net worth will always be an estimate, albeit an educated one, of the real cash value. Take the example of the antique dresser. Antiques are more difficult to sell than high utility items such as cars. There is even the question of how liquid this asset actually is. If the asset needs to be turned liquid as soon as possible, then it is only worth what a person is willing to pay for it. 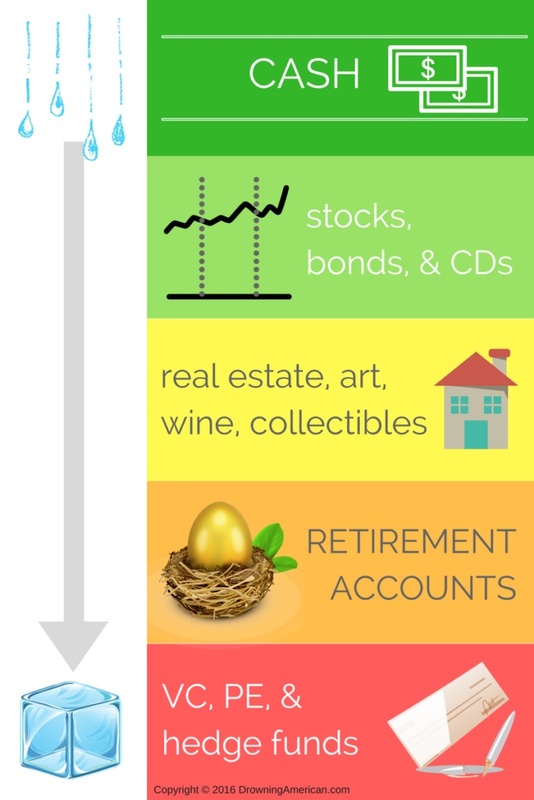 The figure below shows to what degree an asset can be considered liquid. 1. 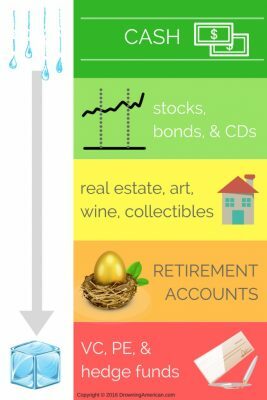 Which of the following is the most accurate description for liquid net worth? A. Liquid net worth is the same value as net worth but in cash. B. Liquid net worth is the total value of available cash and assets that can quickly be turned into cash. C. Liquid net worth is the total value of available cash and current market value of all assets. 2. Which of the given time periods below is the most applicable when deciding whether an asset is liquid? 3. Which of the following assets is likely to be most liquid, i.e. easiest to turn into cash?